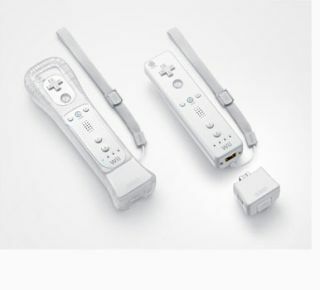 Nintendo has finally announced that its new Wii MotionPlus accessory will be available in the UK and across Europe on 12 June. However, somewhat strangely, Nintendo's first 'first party' in-house developed software offering that will be MotionPlus compatible – Wii Sports Resort – will not release till six weeks later on 24 July. Thankfully, each Wii Sports Resort game will come packed with a single Wii MotionPlus accessory. However, it is still going to be well worth getting the MotionPlus dongle on 12 June, by which time the first MotionPlus compatible game will also be on the shelf – Sega's mighty Virtua Tennis. Wii MotionPlus, in Nintendo's own words, takes "the motion-sensing controls of the popular Wii system to new levels of precision and performance." In addition to Virtua Tennis, EA is also releasing two Wii MotionPlus compatible games later in June, in the shape of Grand Slam Tennis and Tiger Woods PGA Tour 10, all of which - Nintendo notes - will "track players' movements in finer detail and with greater accuracy than ever before. "Even the slightest twist of the wrist or turn of the body is replicated exactly on the TV screen, allowing users to become even more immersed in Wii game play. Wii MotionPlus is designed for easy attachment to the Wii Remote controller." Nintendo's release continues: "With the deep control enhancements of Wii MotionPlus, veteran Wii users and newcomers alike can enjoy unprecedented gaming precision as they cruise on a water scooter, duel with swords, toss flying discs and much more."